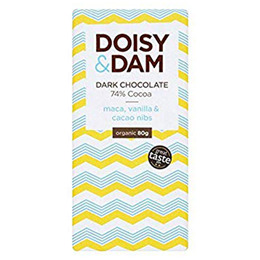 This vegan chocolate perfectly balances the bitter chocolatey crunch of cacao nibs with the sweet vanilla, finished off with a kick of maca root to give you an extra boost! 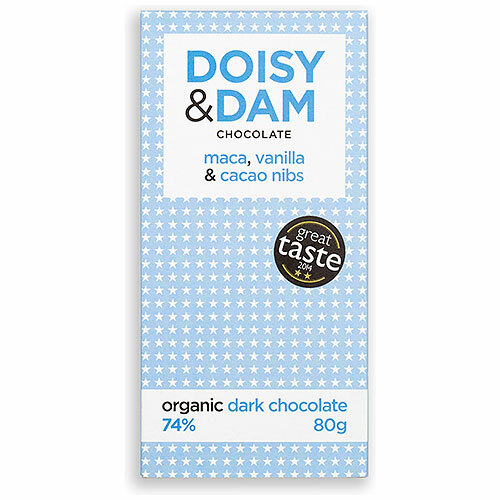 Below are reviews of Doisy & Dam Maca Organic Dark Chocolate - 80g Bar by bodykind customers. If you have tried this product we'd love to hear what you think so please leave a review. Bought this chocolate for my friends birthday. She said it was delicious. The only downside is that the delivery took too long.